The 2016 concept cars were futuristic and carried innovate features. The auto makers brought many innovations in their concept cars 2016. From unique design to new features, the 2016 concept cars were amazing and meant to reshape the future of mobility. In 2016, we saw brilliant future concept cars that included BMW 202 Hommage, Rolls-Royce 103EX, Buick Velite Plug-In Hybrid and Mercedes Maybach 6 sport car concept etc. These concept vehicles had captivating design with high-tech features. Talking about Subaru, it is a famous Japanese automobile company. Subaru manufactures a variety of vehicles such as sedans, SUVs, wagons and crossovers etc. Subaru vehicles are known for their strong body and greater power. In 2016, Subaru released its VIZIV-7 concept in Los Angeles Auto Show. The VIZIV-7 is an SUV concept that gets a future car vision and it made its world debut at the LA Auto Show. Basically, VIZIV-7 is demonstration of next-generation vehicles. Let’s talk about the design and innovative feature of VIZIV-7 concept by Subaru. 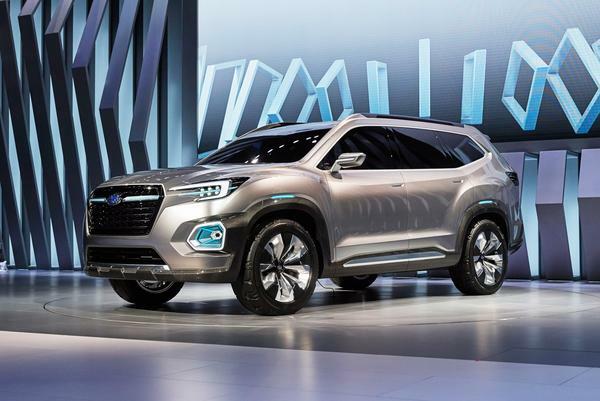 Subaru developed this vehicle concept with intention to cater to a special class of SUV customers. 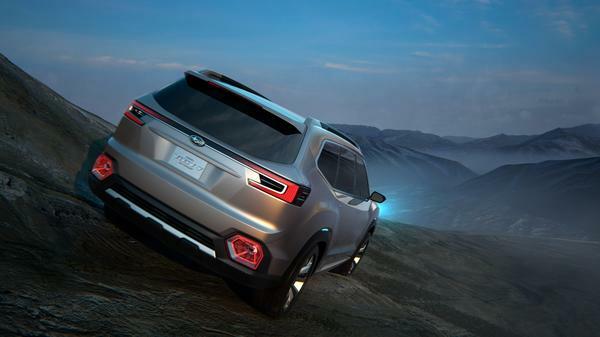 In order to make off-road travel comfortable, this concept focuses on capability, safety and dependability. While going for an adventure trip with family, the customer demand large area for sitting and placing their luggage. Fittingly, Subaru complimented such requirements for the best comfort of passengers of the vehicle. Talking about the body size of this concept vehicle, it has a length of 204.7- inch while the width is 79.9-inch and height of this SUV is 72-inch. Moreover, it has a wheelbase of 117.7-inch. To summarize, it is a big SUV that is developed to enjoy a leisure time with family. Subaru kept the interior details of this concept secret. However, VIZIV-7 concept took design inspiration from three-row midsize SUV that will be launched soon. As it was a concept built to cater to the travelling needs of large families, Subaru offered three complete rows of seating making Subaru’s SUV, one of the largest SUVs ever. Before this, we have seen Outback, Crosstrek and Impreza vehicles by Subaru. Other than crossovers and wagons, the Subaru SUVs fall in the compact SUV segment. 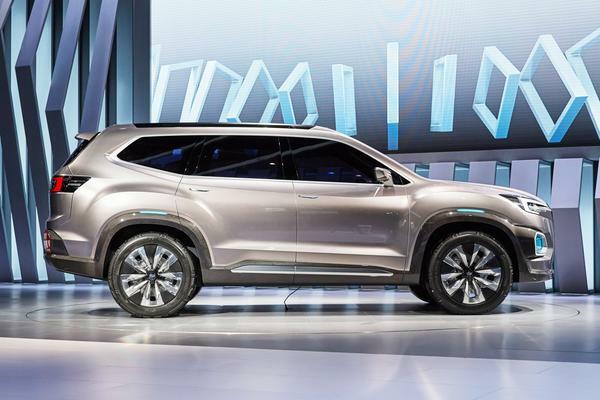 In order to compete large SUV segment, Subaru has developed VIZIV-7 concept. While there are already similar vehicles in this segment such as Ford Expedition, Nissan Armada and Toyota Sequoia, let’s not undermine the potential of this gigantic concept SUV, not before its launch at least. The market launch of the vehicle is not announced as yet but the launch of its concept has certainly caught many eyeballs already. While Subaru didn’t reveal much about the performance and interior of this concept, the production model of the concept can be expected to launch soon. Not only this concept car but other concept cars for sale were the center of attention on a number of instances in the 2016. Stay tuned for other concept cars updates and car reviews.